When a company experiences rapid growth, there are always some “pains” that come along with it. Growth often consists of adding more heat generating IT equipment to small server rooms. Adding more cooling to this already cramped space is essential to keep the system running optimally, and is often overlooked. 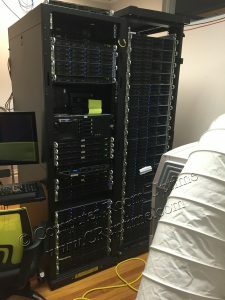 All the hard work and long hours that go into keeping up with a growth spurt can diminish almost immediately if the server room overheats..
Computer Room Uptime recently rescued a high technology company in Boulder, CO from this exact scenario. The Boulder company was in the midst of rapid growth, and recently added a significant amount of IT equipment to their computer room. Previously they kept the server room cool with a mini split AC on the wall, but the additional heat load inside the room overpowered the cooling capacity of the mini split air conditioner. As summer approached the higher outside temperatures exacerbated already warm conditions inside the data center. Not wanting to risk a fatal crash to their system, this IT company called Computer Room Uptime. A cooling specialist at Computer Room Uptime responded immediately recommending a 24,000 Btu/hr portable air conditioner by MovinCool. The MovinCool Office Pro 24 is specifically designed to rapidly bring down server room temperatures to the mid 60°Fs. This specific application was a bit more complex due to the architecture of the building that it was housed. The office is located in Pearl Street Mall where many buildings are older, and do not have a drop ceiling return plenum to duct the warm exhaust air from the portable air conditioner. Luckily the experts at Computer Room Uptime came up with an alternative. After inspecting the building they found a working window in an office that was vacant. 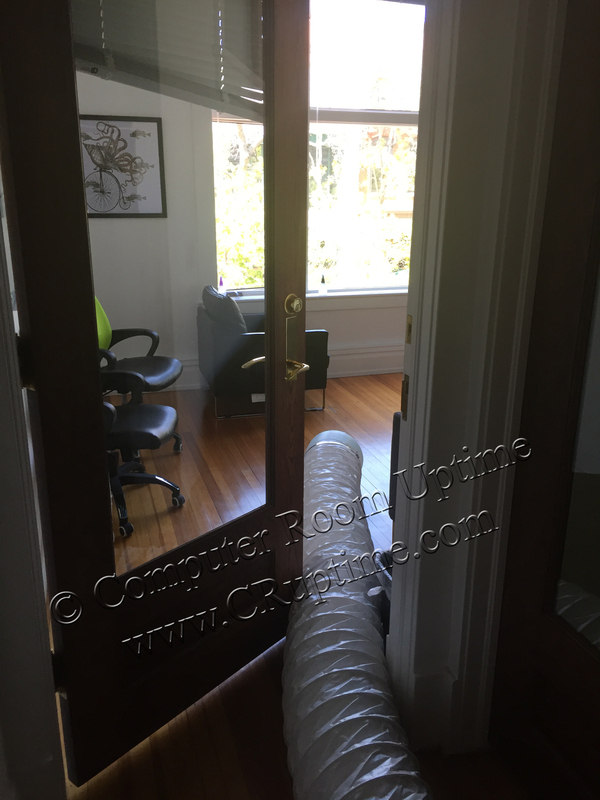 Using 35 feet of ducting they were able to discharge the warm exhaust air of the portable air conditioner down the hall and out the window. 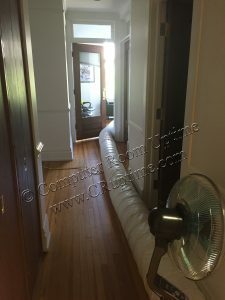 The long duct run of 35 feet made it possible to get supplemental cool air conditioning into the data center and bring down the temperature within hours. This specific high tech company decided to use a portable air conditioning rental as a long term cooling solution for their computer room. Due to continuous growth, they plan to move to a new office within a year and do not want to invest in a permanent cooling solution that will stay with the building when they vacate the space. 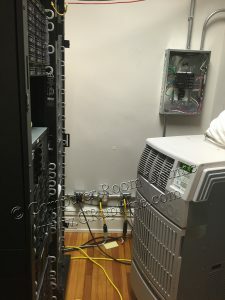 Computer Room Uptime offers flexible short and long term spot cooling rentals to keep your data center cool. 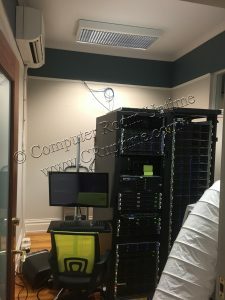 Computer Room Uptime sells and rents a wide variety of portable spot air conditioners to many different industries: IT environments, Industrial / Construction, Offices / Schools, Health Care and Special Events. Our air conditioners are extremely easy to install, and will adapt to almost any environment. Computer Room Uptime will work with you on engineering the best cooling solution for your application at a fraction of the cost compared to other air conditioners. 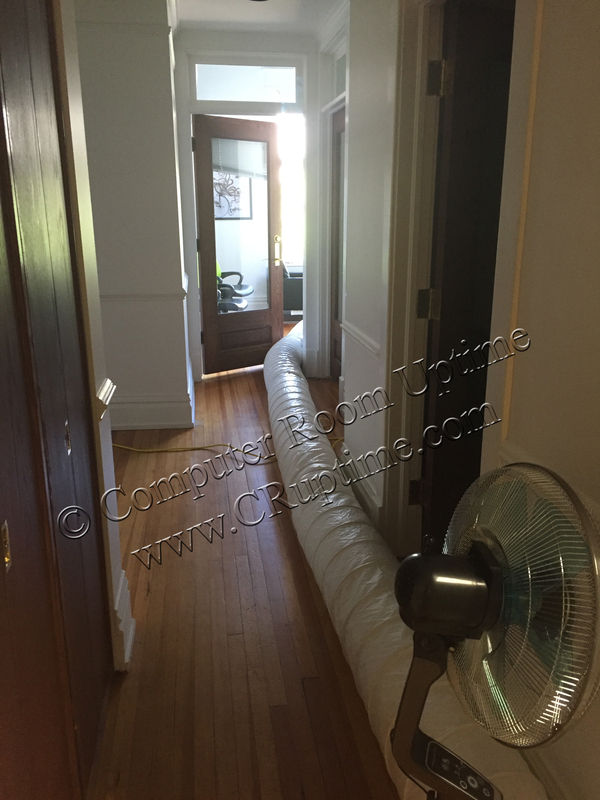 We have over 20 years of experience designing and installing portable air conditioners. Computer Room Uptime is ready for all your temporary cooling needs throughout the state of Colorado and Wyoming. We have a large rental fleet of portable air conditioners, and offer same day delivery to your Front Range (Denver, Englewood, Aurora, Boulder, Colorado Springs, Fort Collins, Tech Center) location from our Denver warehouse. Please call Computer Room Uptime at 303-908-8043 for your next portable air conditioning rental. This entry was posted on Tuesday, July 5th, 2016 at 8:16 pm.